There are many collections of senior citizen jokes online and in books for seniors to enjoy. Jokes for seniors are great for brightening someone's day, breaking the ice at an activity, perfect for sharing, and - to top it off -- laughter is even good for your health. Read below for a brief look at some of the resources for senior jokes, comics, and funny stories. An interesting look at senior humor comes from Michael Brickey, PhD., an expert on healthy aging. In his article He Who Laughs Last, he is enthusiastic about the mental health benefits about jokes and humor, but also discusses the often subtle differences between positive and negative senior humor. Positive jokes about seniors are those that refute or reverse negative stereotypes about older men and women, and can be enjoyed by both seniors and people of all ages. Dr. Brickey suggests that discerning these nuances in jokes on aging is a great mental exercise, and re-telling positive jokes can be empowering to the senior community. Leigh Anne Jasheway-Bryant, also known as the "The Accidental Comic", offers hilarious articles on life that are sure to spring laughter from a mature crowd. In her article What Men Need to Know About Menopause, for example, Ms. Bryant offers laugh-out-loud "tips" for any man who is dealing with a woman in menopause. For many people, lewd language and crass jokes aren't funny at all. Fortunately, there are plenty of clean senior citizen jokes available that use good old-fashioned humor. MyHumor.org is a site dedicated to clean jokes. It features daily jokes in a variety of categories, including a daily joke, or you can search the archives. You can receive a daily joke in your e-mail, and the easy-to-use form on the site allows you to send jokes you like to friends as well. The Good Clean Funny List, GCFL.net is another clean joke site offering single jokes in your e-mail daily to enjoy and share. The jokes and cartoons page on Today's Seniors has a great variety of clean, funny senior citizens jokes, witticisms, stories and cartoons to keep you laughing. 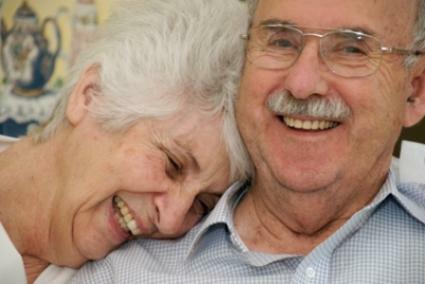 Senior2Senior.org is a non-profit site with a number of resources for seniors and caregivers, including jokes. The jokes section has several pages of jokes, and although there is a range in subject matter, for the most part the jokes are clean. However, the site has a disclaimer in a sidebar: "Jokes are like food. Some spicy, some not. Spicy is mild, medium or hot. The jokes on this page will never be hot." Retirement and retirement living has been a popular subject for jokes. To see some of the best of what the Internet has to offer in terms of retirement funnies, visit LoveToKnow's retirement humor. Whether waiting in a doctor's office, traveling, or just looking for some entertaining reading for home, joke books and books of humor stories are a great way to add some smiles to your day. Humor books might also make a good gift of senior entertainment for someone who enjoys jokes and funny stories. Finding ways to laugh in all stages of your life helps you stay healthy and joyful. Senior citizen jokes are a great way to keep laughing.